If Los Angeles DUI Breathalyzer Tests Are So Flawed, Then Why Do So Many Police Forces Use Them? If you’ve read our criticisms of Los Angeles DUI breathalyzer tests, you’ve hopefully been at least slightly convinced that these screening tools are less than flawless. • Whether the type of breathalyzer machine used was flawed. 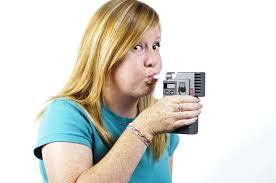 Depending on what happened with the breath test, you may have potential defensive avenues. For instance, perhaps the police violated your Constitutional rights and pulled you over without a good reason or subjected you to unreasonable search and seizure. How should you fight your Los Angeles DUI charges? The first rule is commonsensical: don’t try to figure this all out on your own. Trust the attorneys at the Kraut Law Group to help you build a good strategy and contrive an effective defense.